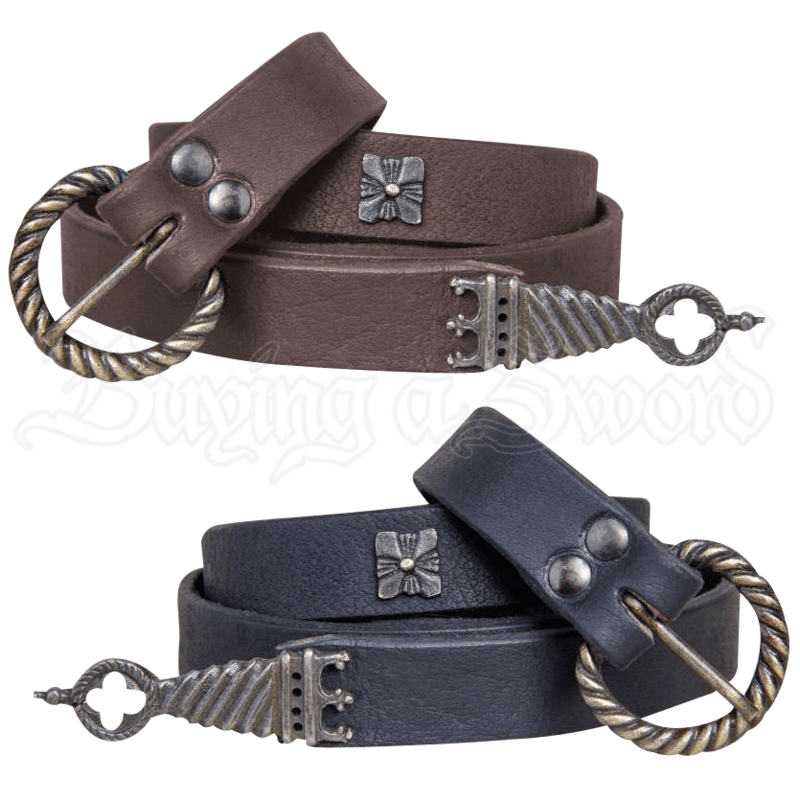 With fine detailing fit for a variety of medieval inspired outfits, the Mattis Belt features a brass buckle, tip, and five blossom-shaped decorations. This belt is made of thick leather and available in multiple colors. The circular buckle features a classic twirling design while the tip of the belt depicts a crown and elegant cross design. 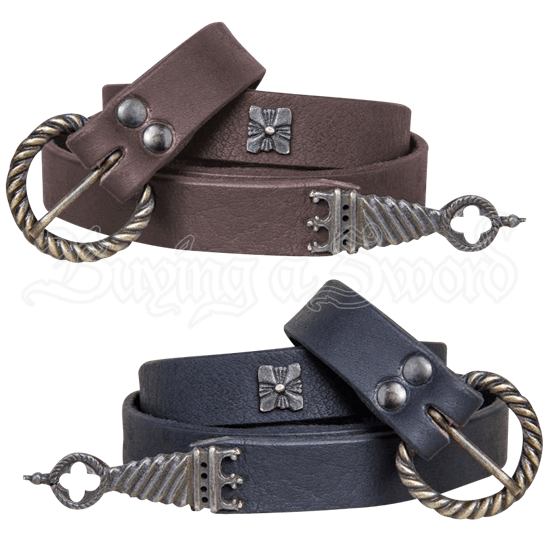 Perfect for nobility, this sturdy and stylish belt is a great way to easily heighten the style of your favorite historical reenactment or LARP outfit.